I am pleased to announce the opening of R.A.W. Textiles. I have been packing, sorting, painting, hanging, and unpacking to get ready for this day. I love my new space because there is so much light, it has tall ceilings, and I can walk there if I want to. 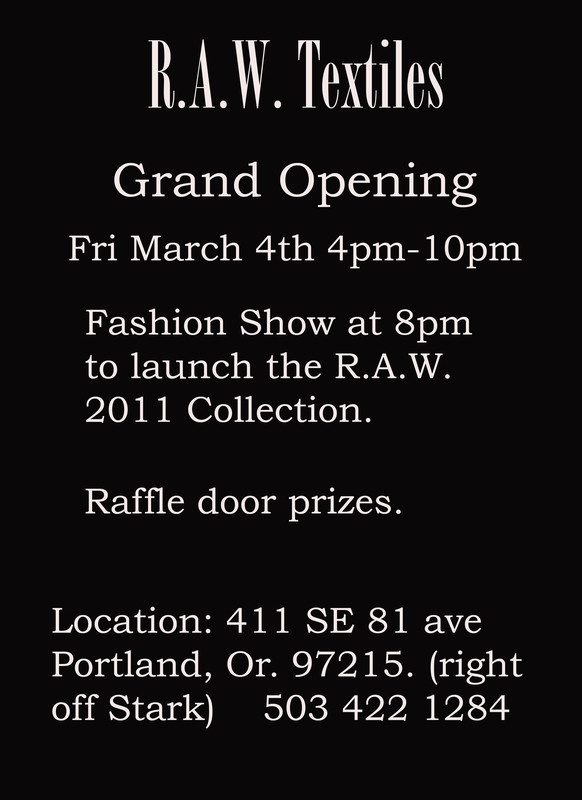 If you can please stop by on Fri. for some good times and a look at my new collection for 2011.